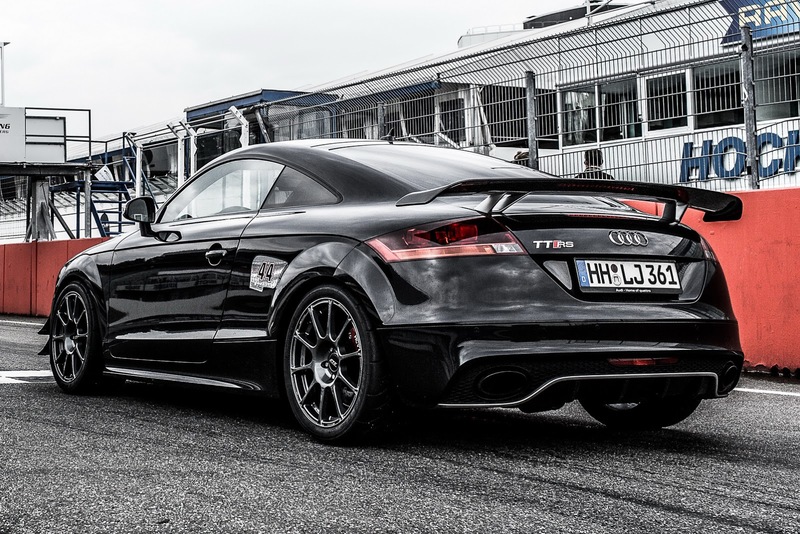 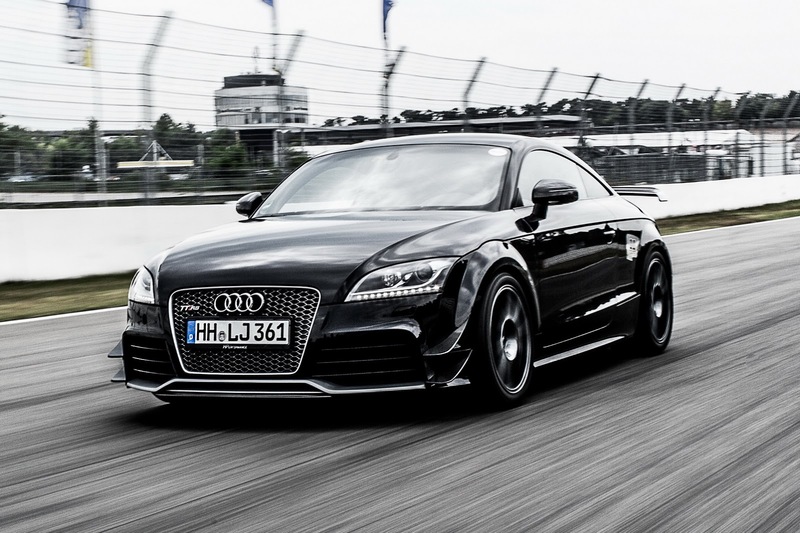 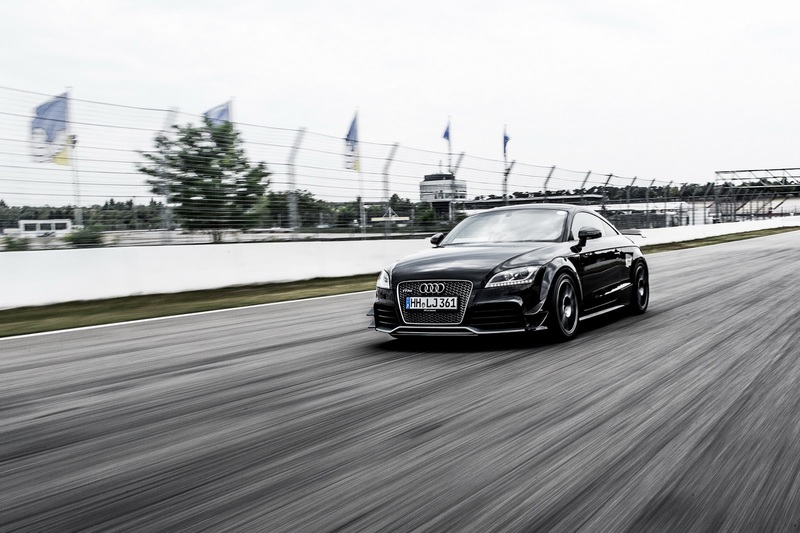 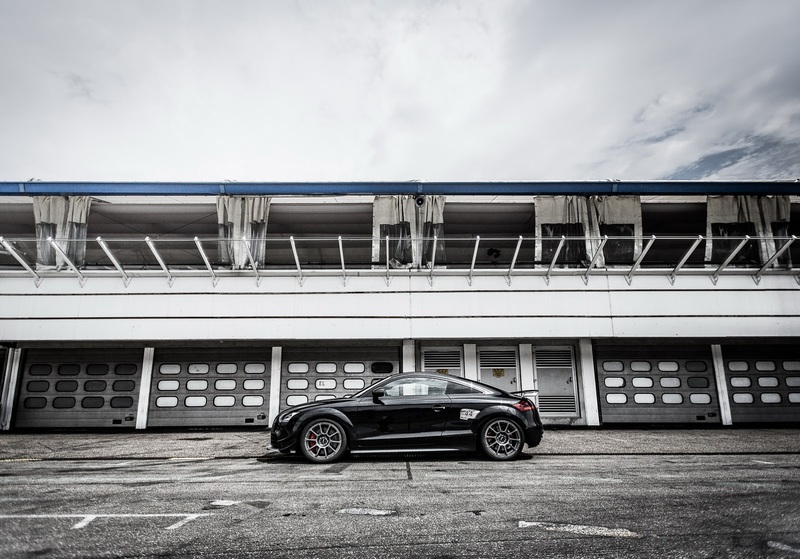 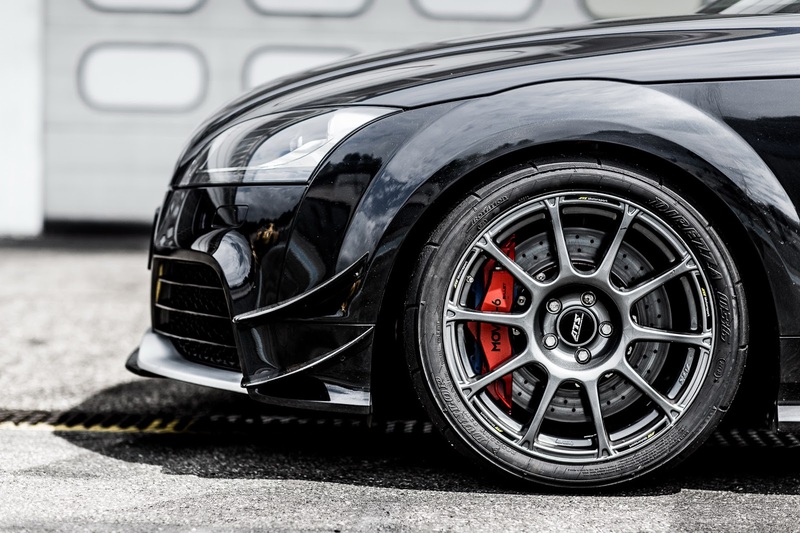 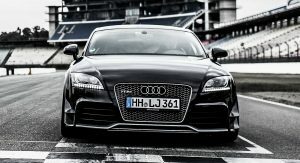 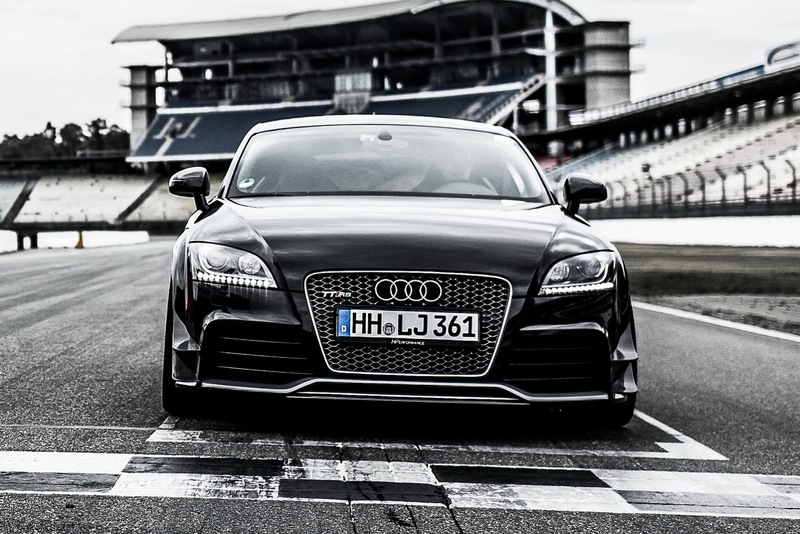 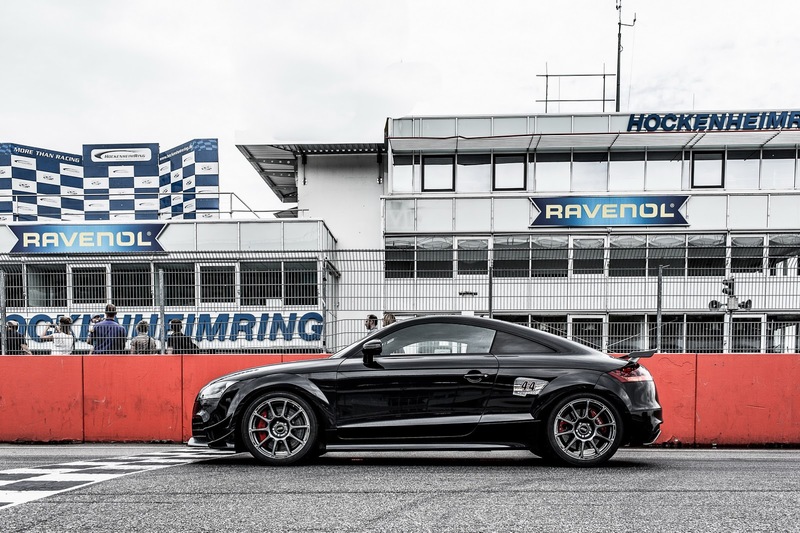 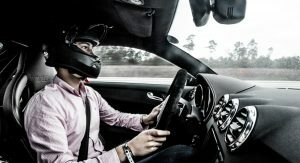 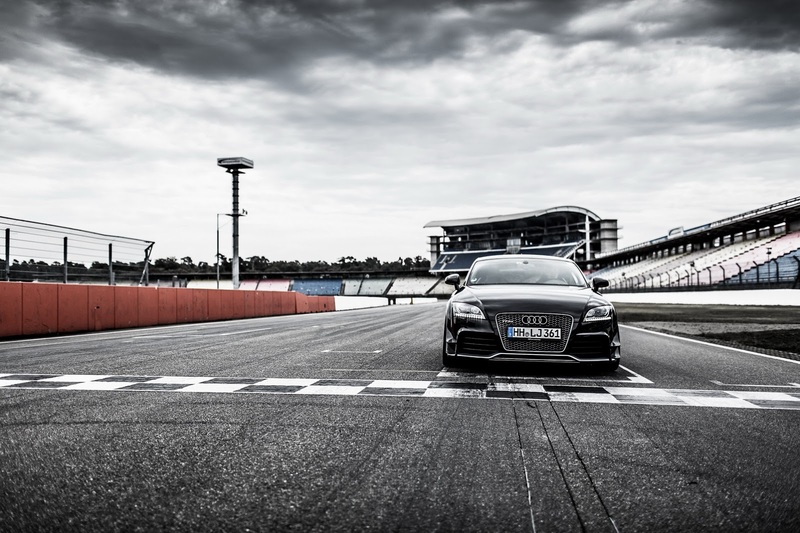 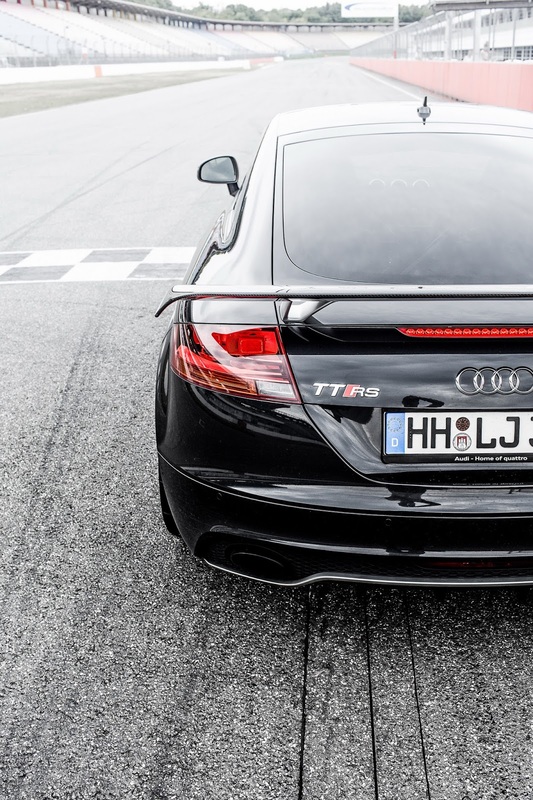 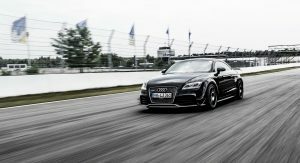 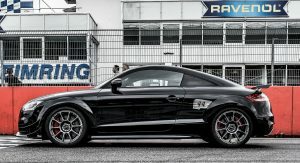 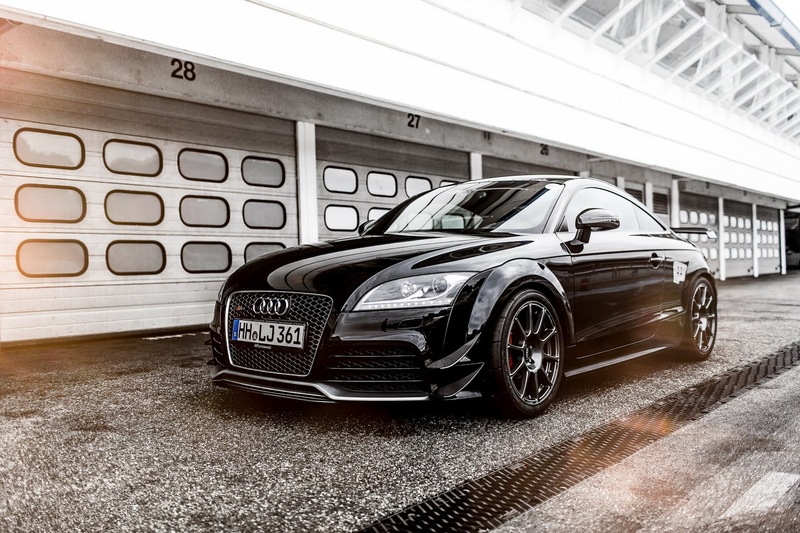 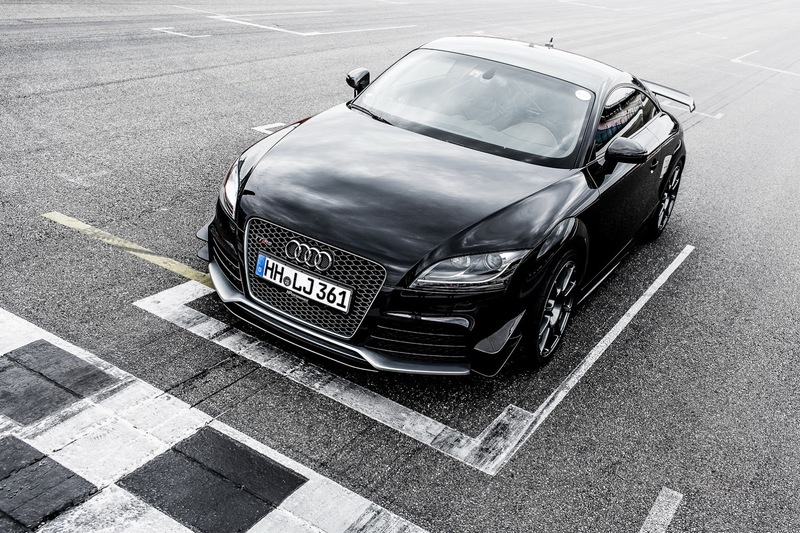 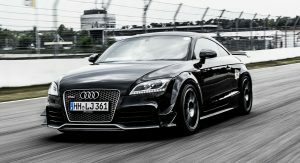 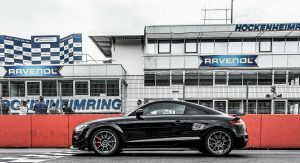 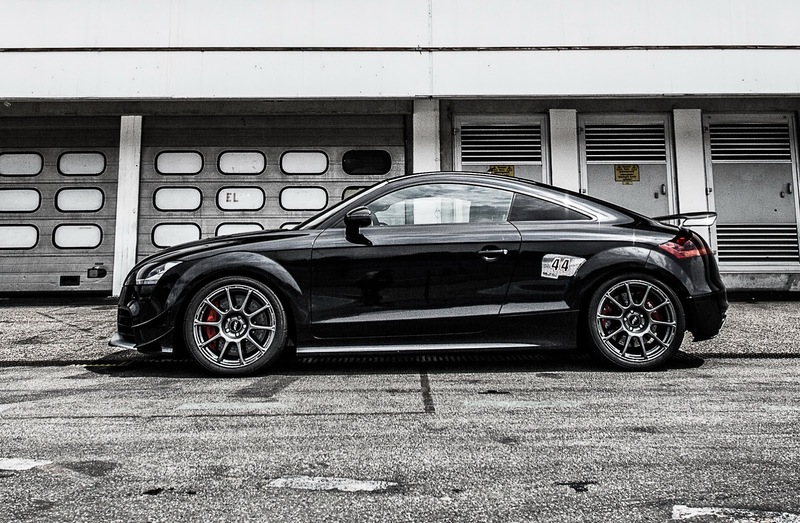 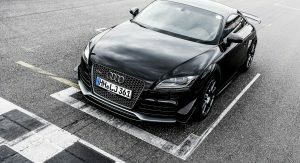 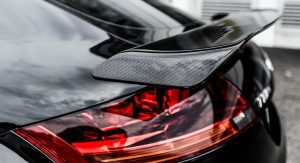 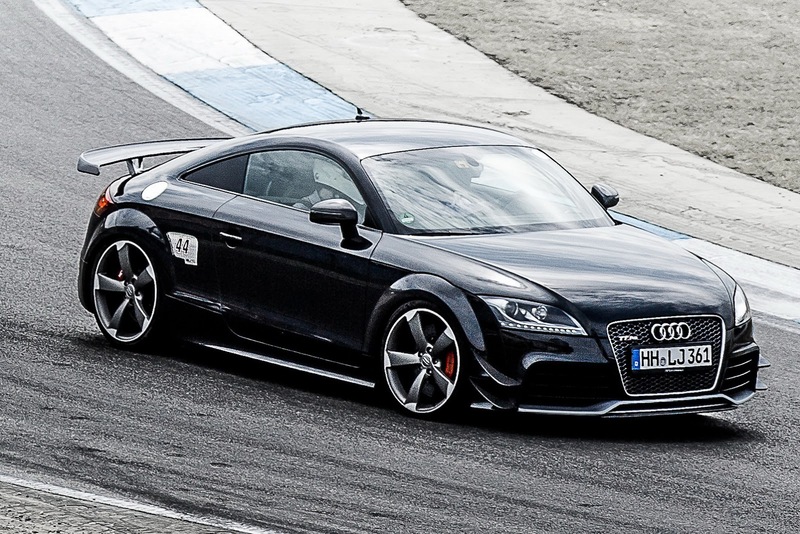 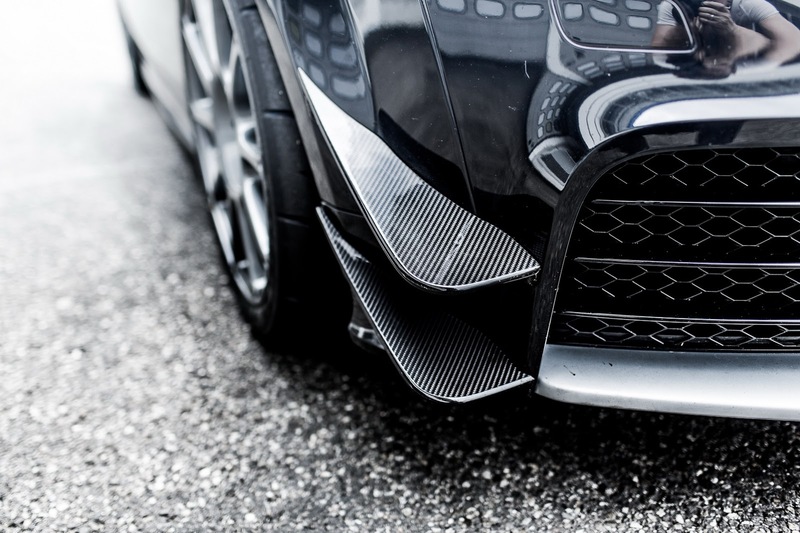 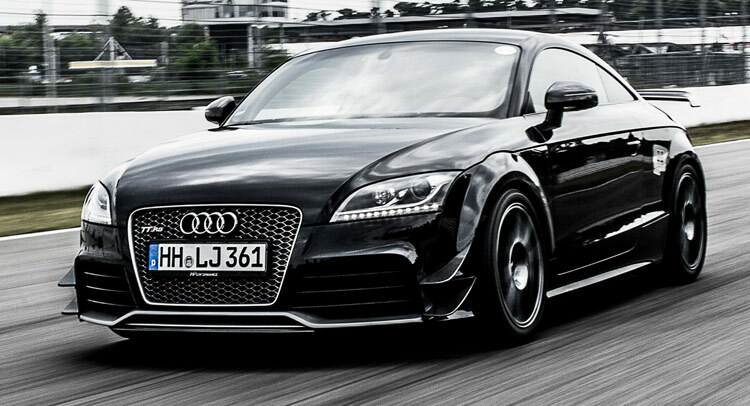 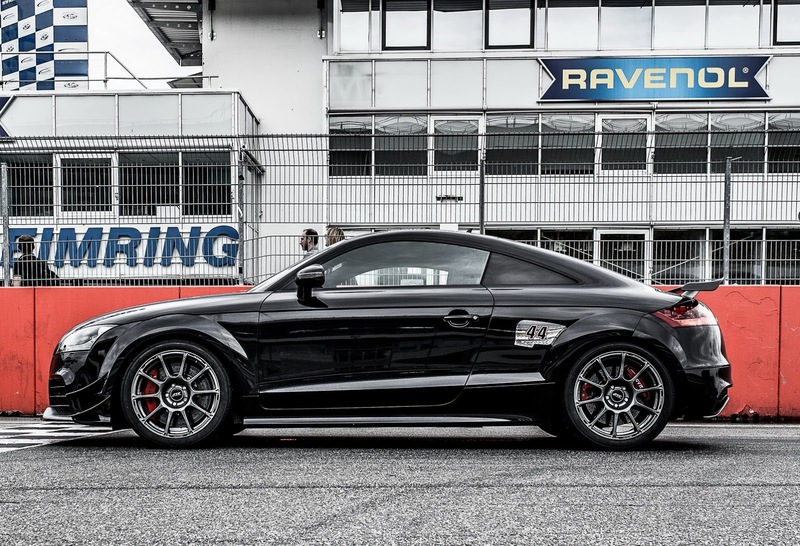 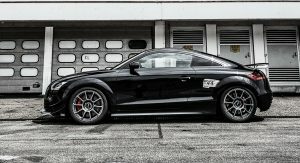 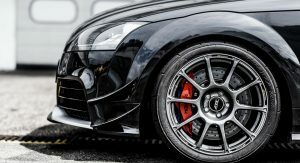 No, HP doesn’t stand for Hennessey Performance here, but for German tuning outfit Haefner Performance that have conjured a new workout formula for Audi‘s previous TT RS. 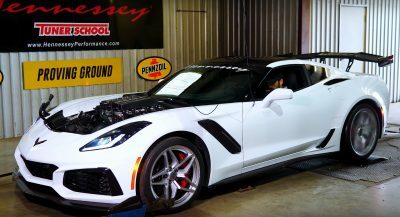 At the heart of the tune is HPerformance’s Stage 5 power kit that graces the stock RS’ 2.5-liter five-cylinder mill with a new HPXT530 turbocharger, a custom charge air-cooler, sports exhaust system, a high-pressure pump and a reprogrammed ECU. 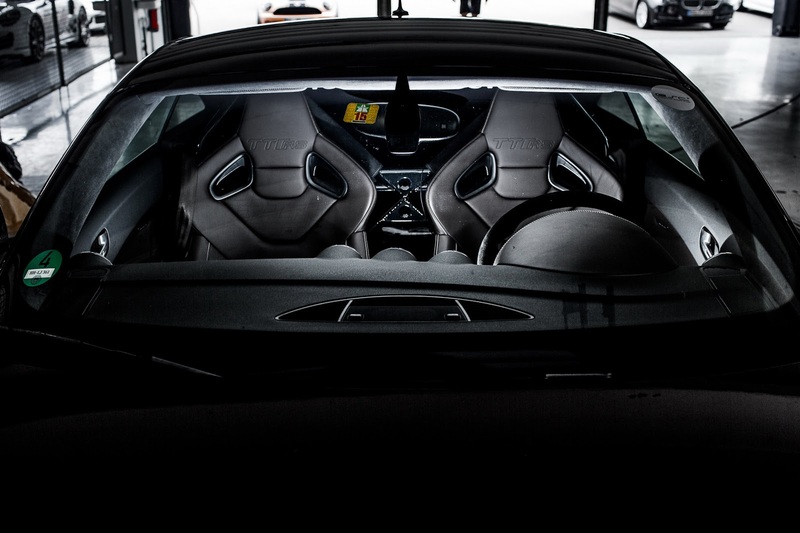 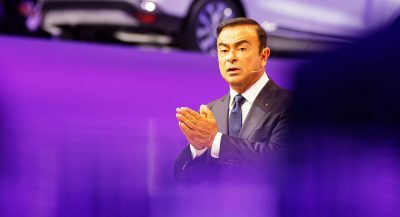 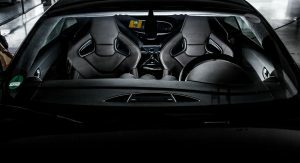 These upgrades give the sonorous five-pot a healthy boost from 335hp (340PS) and 450Nm (332 lb-ft) to 503hp (510PS) and 690Nm (509 lb-ft) respectively. 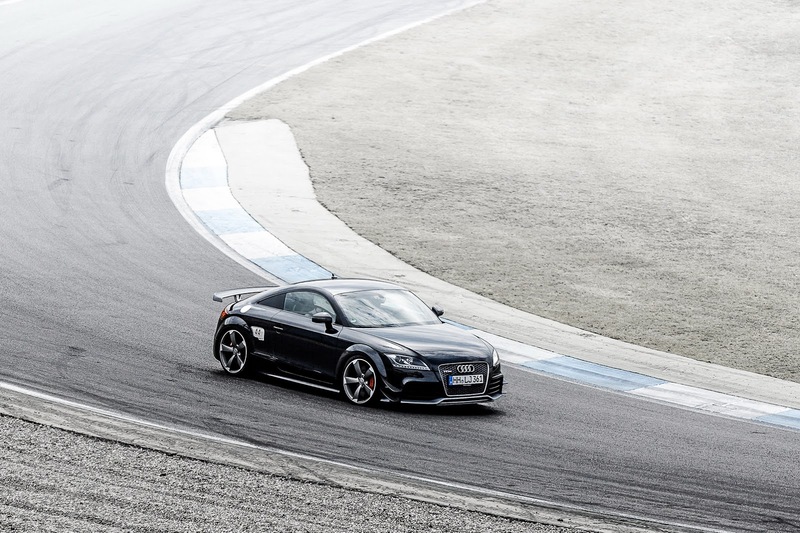 HP doesn’t say what this does to the TT RS’ performance figures, but it could help Ingolstadt’s coupe improve its 0-62mph (100km/h) time of 4.5 seconds. 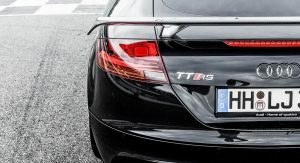 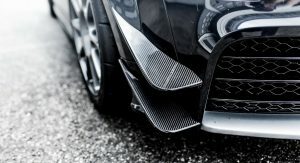 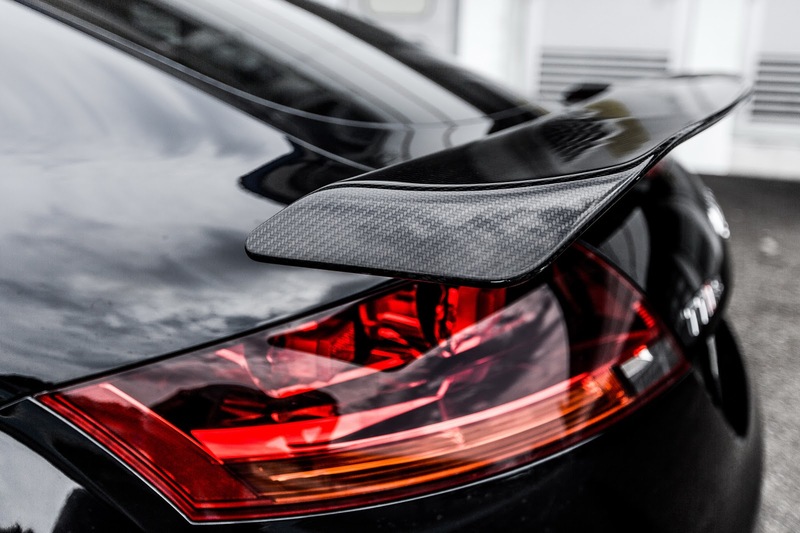 The package also gets you a rollover bar, three-way KW Clubsport coilovers, a Movit racing brake system with 370×35 mm discs on the front and 342×28 mm on the rear axle, plus a carbon fiber aero spoiler kit that includes a front apron and canards, and a fixed rear wing. 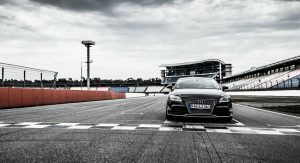 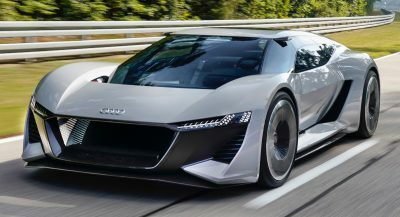 All this will cost you a hefty €50,000 (about $55,600) in Germany, which is almost as much as a brand-new 5-cylinder RS3 (€52,700) that can run to 100km/h in 4.3 seconds, while the display model seen here is offered for sale at €90,000 ($100,000).